Purchased at Pangaea Bottle Shop and poured into mini tasting glasses. This dark pumpkin beer was aged in pinot noir wine barrels, and it pours a Dr. Pepper dark brown with a tight, soda fizz head. It has that unmistakable “Almanac sour smell” of sour candy, citrus, wood, and wine, causing my mouth to instinctively pucker, although there is a little extra roastiness on this particular brew. The fall/pumpkin aspect breaks through on the first swallow, lending an unusual depth of flavor to the beer, with wine tannins, candied pumpkins, and autumn spices coming to the fore. The taste of red wine settles onto the palate far more impressively than any pumpkin or spice flavors, making this a suitable substitute for red wine with your turkey dinner or fall dessert. 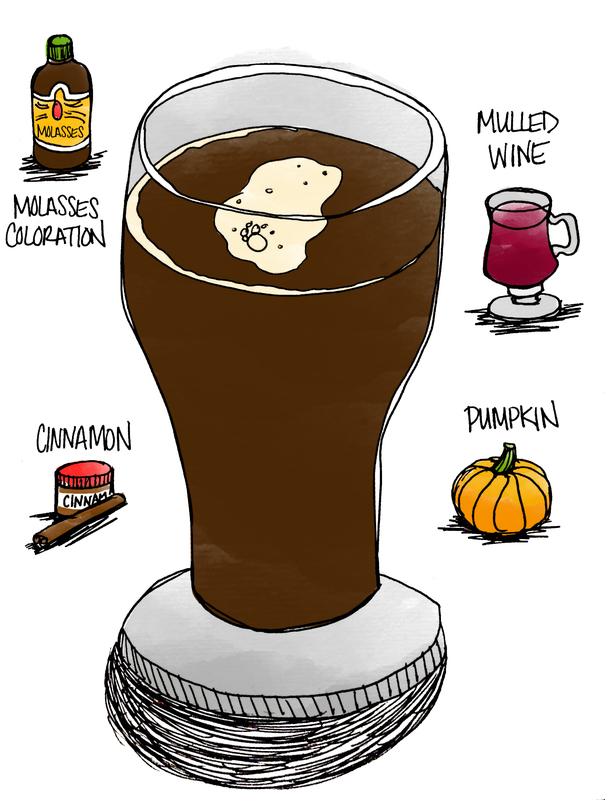 This entry was posted in Columnists, Drink, Drink: Beer and tagged beer, beer notes, Drink, His & Hers, pumpkin. Bookmark the permalink.